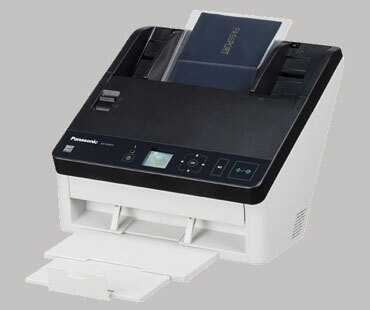 Double-sided scanning of documents from business-card size all the way to A4 can be done with a single scan. Plus, double-sided scanning is done at the same speed as single-sided scanning. This eliminates the need to repeatedly turn the document over to the front and back to rescan, and prevents pages from being missed when scanning. The KV-S1057C lowers the cost of handling documents and reduces the space needed to store them.